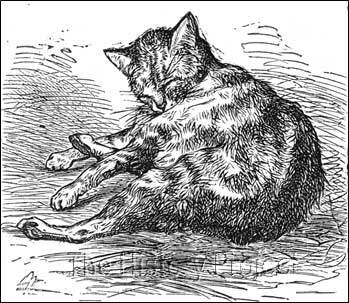 Given that these quotes come some nine years before the birth of our earliest recorded Manx produced by a breeder, this demonstrates that the Manx, as a variety of English cat, was already fairly well known among the general populace and members of the press. Mr. Weir then puts the whole into context by telling us more about the breeder, Mr. Thomas. 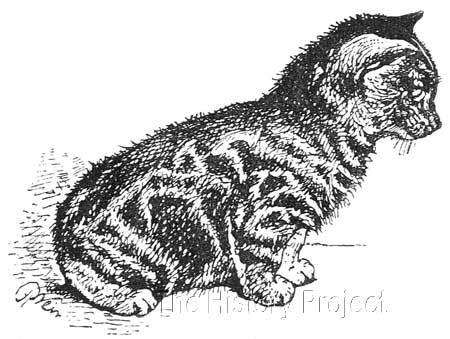 Although outcrossing is known to have occurred after Manx were exported from the Isle of Man, it should be especially noted that the appearance of the Manx Longhair occurred naturally in litters of original Manx cats. It has been known for a very long time that the recessive genes for long hair were always carried in the foundation gene pool of Manx cats from the colony on the Isle of Man. 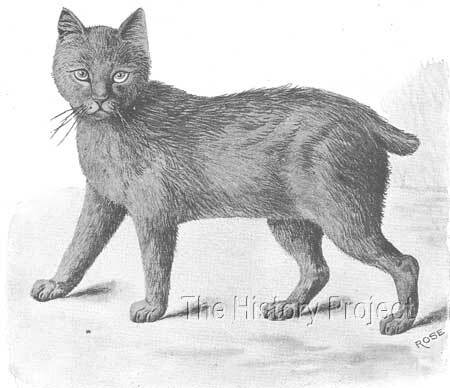 And, as one would expect, long haired Manx appeared in litters of pedigree shorthaired Manx cats, particularly in Canada and the USA during the 1970's, in a similar ratio to that of their English Shorthair counterparts. With this first identifiable show Manx we find that Manx were being bred and exhibited a full 10-12 years ahead of the establishment of the National Cat Club's first register. 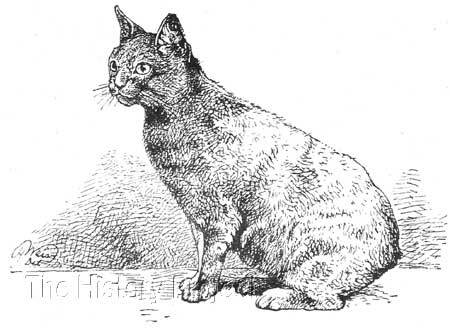 Although these beginnings were humble, the fact that they were among the first exhibits to compete over 140 years ago and are still competing successfully today, shows a level of dedication among the breeders and lovers of 'the Manx cat' which is nothing short of exemplary.